Longtime senior Microsoft channel executive Jenni Flinders has landed the channel chief role at VMware Inc.
Flinders' formal title at VMware is vice president, Worldwide Channels, and she reports to Brandon Sweeney, senior vice president, Worldwide Commercial and Channel Sales. The Palo Alto, Calif.-based enterprise virtualization and cloud giant boasts an ecosystem of 75,000 partners. Flinders left Microsoft in April 2015 after nearly 15 years with the company. 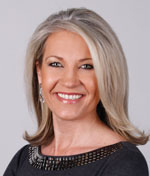 She joined Microsoft in 2000 in marketing and sales roles in South Africa and later ran the midmarket business for Latin America out of Microsoft's Ft. Lauderdale, Fla. office before joining then-Microsoft worldwide channel chief Allison Watson's team in the Worldwide Partner Group as chief of staff. From 2009 until her departure in 2015, she was channel chief for Microsoft's U.S. partners. Since 2015, Flinders has been CEO of Daarlandt Partners, a channel strategy consulting practice.